With heavy equipment, intricate tools, high platforms, and all kinds of moving parts, it is inevitable that construction sites will be susceptible to injuries. But these locations frequently have more than one contractor and subcontractor on site. So when a worker experiences an injury, just how is liability determined? An experienced personal injury attorney may be able to help you maneuver through the red tape in a situation where multiple companies’ duties, supervision, and responsibility overlap. Proving that a contractor was negligent is essential in winning a case in court. But when it comes to negligence on a construction site, things get pretty complicated, particularly when multiple parties are involved. Additionally, in some cases, immunity exists. Florida law dictates that when an employee’s company has workers’ compensation insurance, other contractors and subcontractors cannot be sued following an injury. But there is an exception to that rule: when the injuries incurred were the result of gross negligence on the part of a contractor or subcontractor on the job. Simple negligence suggests reasonable care has not been used. For example, if a rung on a ladder becomes loose, it would be simple negligence to leave that ladder out for workers to use. Any reasonable person would concede that the rung should be repaired, or the ladder should be replaced all together. Should an accident occur due to the broken rung, simple negligence would be clear and easy to prove. On the other hand gross negligence is a much more serious matter. Deliberation is a factor in gross negligence. It infers that a decision was made with forethought, resulting in an accident. For example, it’s not just that a cupboard filled with deadly chemicals was left unlocked by accident; a decision was made that there was no need to purchase a lock for that cupboard in the first place. The assumption could rationally be made that such a decision could at some point cause harm to persons or property due to the negligent decision. After falling from scaffolding, a drywall finisher, Mr. Villata, was killed. His estate then sued several companies on the constructions site, including a subcontractor named Tropic Aire. Thus was borne the case of Villata vs. Cornn International. Attorneys for Villata claimed that gross negligence was evident due to the fact that Tropic Aire had failed to cover a large hole that was cut out of the floor, and had even neglected to warn workers of the hole’s presence. According to testimony, that resulted in a wheel from a scaffold being stuck in the cut-out, which pitched forward, causing Mr. Villata to fall 16 feet to his death. Although Tropic Aire won the case in trial court, Mr. Villata’s estate appealed. In the First Circuit, the court found that Tropic Aire had not covered the hole, nor warned of a serious hazard. It was then left to a jury to determine whether the case turned on simple or gross negligence. Because gross negligence was a potential determination, Tropic Aire did not have immunity in the case. If you have suffered an injury on a construction site due to simple or gross negligence of contractor or subcontractor, it is possible that you are entitled to damages beyond what workers’ compensation offers. The aggressive, experienced legal team at the Law Offices of Robert W. Elton knows how to investigate and pursue cases of negligence. 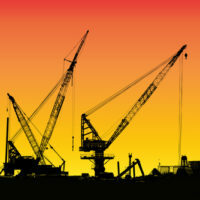 We are knowledgeable with regards to Florida law and construction site injuries. Contact us in Daytona and Ormond Beach today for your confidential consultation.